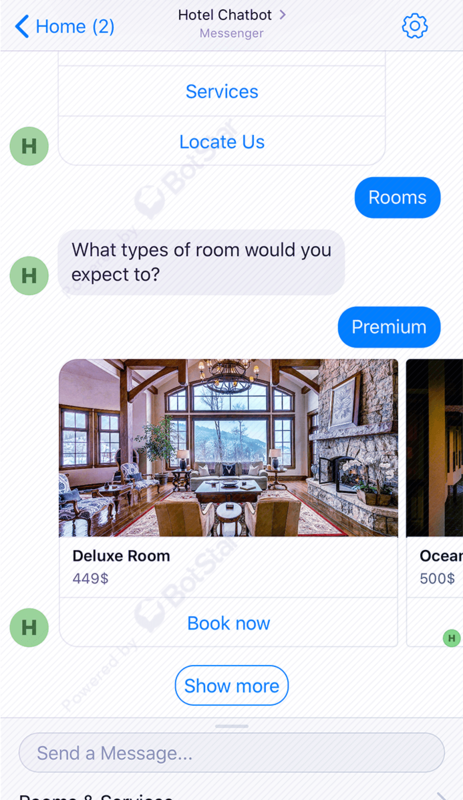 Let your customers find information and book rooms through Facebook Messenger or chatbot on website. 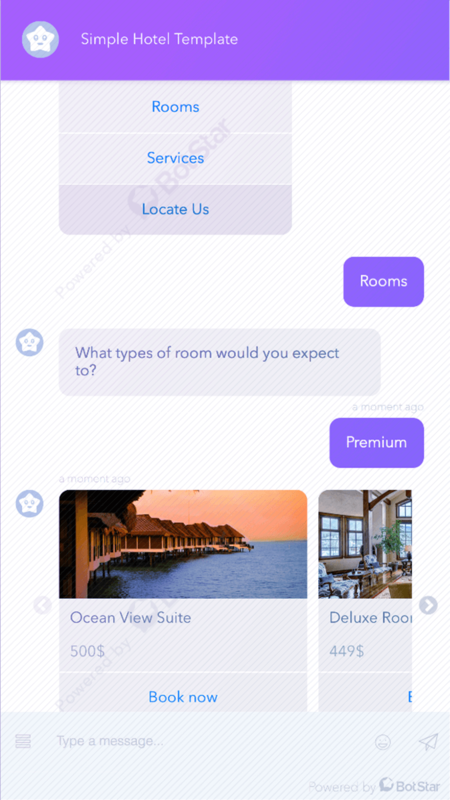 This simple Hotel chat bot will engage with your potential customers or existing customers to book rooms or browse services. 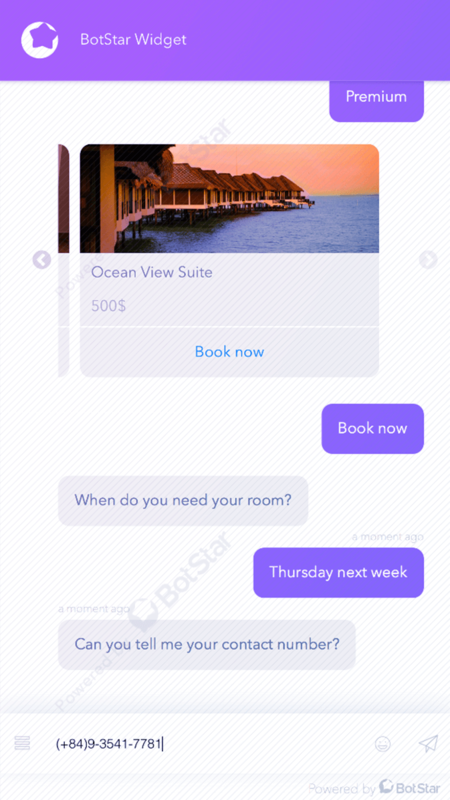 By adopting chatbots, a hotel can more efficiently service typical guest requests, especially the more routine ones (a request for more towels, reporting a maintenance issue, ordering room service) or when accessibility for taking such requests needs to be on a twenty-four/seven basis. This template helps connecting hotels directly with their guests, supporting customers in finding information about available services and proceed booking requests. 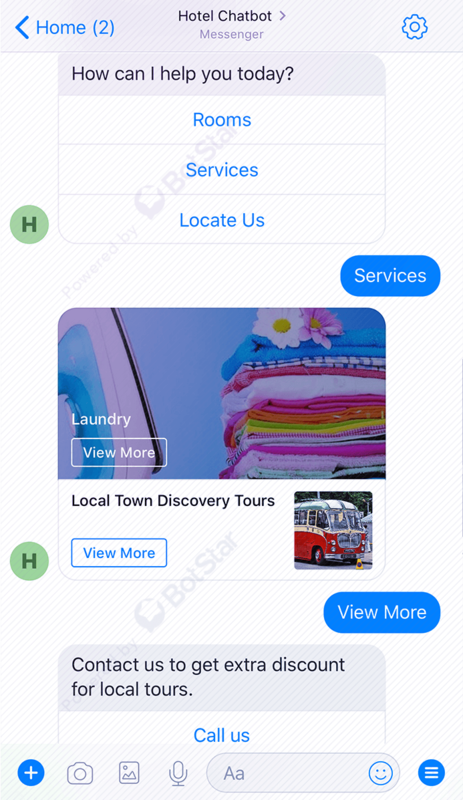 Building chatbot with BotStar templates is so simple with no coding skills required. You can update rooms information and availability quickly using BotStar CMS or through integration with your existing providers.